The 2017 MLB season has been underway for just over one month, and unexpected injuries and surprising stars have already set an excited tone for baseball play. Despite their current rank as third in the NL Central, the reigning World Series champion Chicago Cubs remain the MLB team with the best odds of going the distance come playoffs -- and are currently positioned with +475 odds, according to Bovada. The Cubs are in a bit of a down slump currently, and suffered a 10-4 loss against the Colorado Rockies this week. "We're just not playing at our highest level," Cubs catcher Miguel Montero recently told reporters. "We have to shake it up, wake up. This will be a good wake-up call for us. We either come to play the right way or we're going to have a short season." The Boston Red Sox started the 2017 season with the second best odds of winning this year's World Series, but have since dropped in the rankings despite starting pitcher Chris Sale's continued dominance on the mound. Sale's 1.92 ERA and 3-2 record -- paired with the .339 batting average of young-blood LF Andrew Benintendi -- have positioned the Red Sox as solid AL East contenders with +750 odds. Boston, though, currently chases the New York Yankees, who are unexpectedly dominant early in the season. The Yankees have the sixth-best odds of winning the World Series as of May 10, with Bovada putting them at a +900 position. 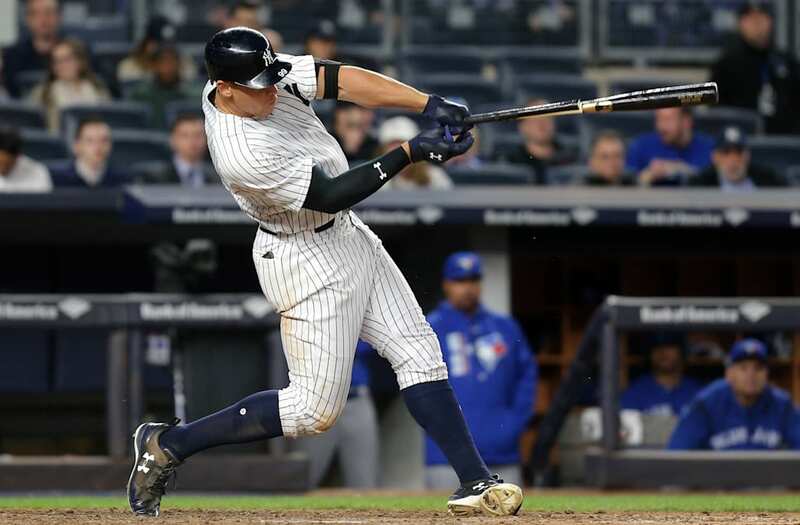 RF Aaron Judge leads the Yankees with 13 home runs this season -- and currently has the third-highest team batting average at .317 -- trailing behind Starlin Castro and Aaron Hicks. The Yankees trail the Baltimore Orioles in the AL East, who currently have the best record in baseball of 22-10. The Colorado Rockies are perhaps the biggest early surprise this season, and have doubled their odds of emerging as league champions in just the first month of play. Mark Reynolds leads the Rockies in batting with 12 home runs and a .333 batting average. The San Francisco Giants' odds of winning the World Series have greatly decreased after star pitcher Madison Bumgarner sprained his left shoulder in a dirt-bike accident last month. The Los Angeles Dodgers also saw their odds drop when their position with Bovada dipped from +900 to +1200.